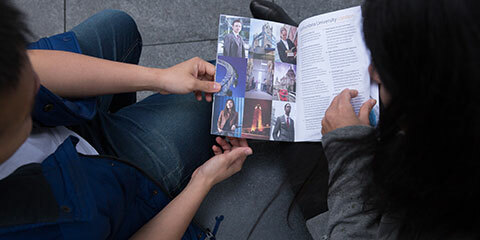 If you’re keen to take the business world by storm, our London Campus offers industry-focused courses amid the buzz of London’s business and financial district. This gives you exceptional access to career-enhancing partnerships and collaborations in the UK’s capital city including internship and live project opportunities alongside programmes delivered by academic and industry professionals. By choosing one of our London-based courses you can look forward to a fantastic experience as a student, combining teaching excellence with the opportunity to study in the UK’s capital. Ranked #1 in the latest QS Best Student Cities, (QS Best Student Cities, 2018), London is a multicultural city where international students make up 33% of the total student population. 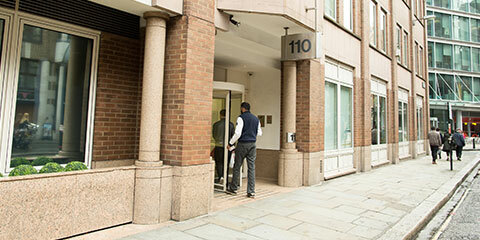 Our London Campus is conveniently located in a well-known student hub near to several other university campuses. This gives the campus a truly student feel and means that many of the local shops and amenities are tailored for students’ needs. If you choose to continue your studies and wish to experience student life in another city, you may be able to progress on to one of our programmes at the University main campus in Newcastle – another UK city with a vibrant student culture. 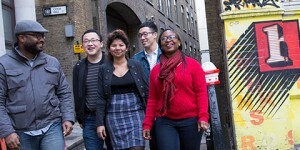 Northumbria Students’ Union London helps you socialise outside your classes and meet like-minded people. With a dedicated London Coordinator, Thom Addinall-Biddulph, NSU London run a number of events throughout the year, from trips to the theatre and famous landmarks to various socials and wellbeing events. Whether you need independent academic advice or want to get involved with socials, Thom is on campus Monday to Friday and is your point of contact. Visit the NSU London page for further information and to see what’s on. They are also active on social media, you can view their channels below. 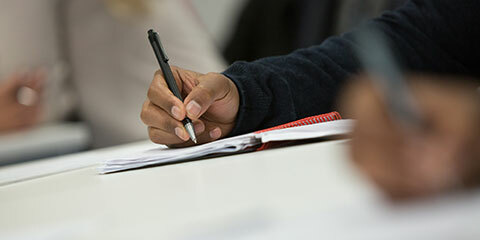 Throughout your studies you will be taught by experienced academics who will help you understand how the theories you learn in the classroom translate into real life situations, ensuring that you develop the analytical skills highly valued by employers around the world. Northumbria University has been highly ranked in a range of categories that students think are important to their university experience as a whole. 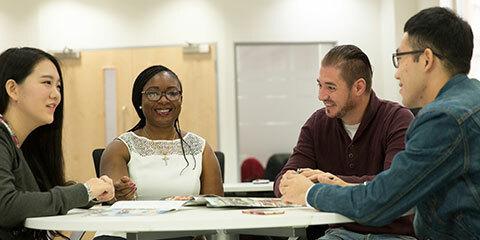 Student satisfaction, employability, sporting achievements and international recruitment are all areas where Northumbria University scores highly in comparison to other institutions. In 2015 the University’s Student Support and Wellbeing team were awarded the Times Higher Education Leadership and Management award in recognition for the excellence of support offered. 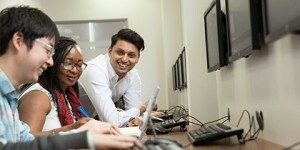 The University has built up an enviable reputation for employability and is regularly on the ‘must see’ list for many employers. 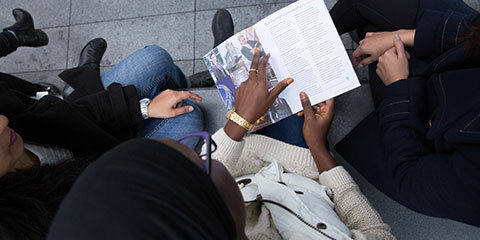 Unlike many other universities in London, we have a relatively small learning community. This enables us to offer a very friendly and welcoming study environment for students to relax or study in. 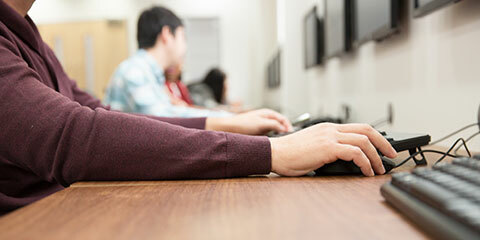 The campus is fully equipped with computers for personal study and research in your free time. There are also social areas where you can relax with friends or meet to discuss your group projects. Northumbria University’s business faculty (Newcastle Business School) is part of a select group of business schools worldwide, following accreditation by the Association to Advance Collegiate Schools of Business (AACSB) in business and accounting – the first in Europe to gain the double accreditation. Founded in 1916, AACSB International is the longest serving global accrediting body for business schools that offer undergraduate, masters, and doctoral degrees in business and accounting. We take pride in offering a high quality learning experience to all our students and being accredited helps you to trust in the quality of teaching that you receive while you study with us. Full-time Masters students at our Northumbria London Campus have the opportunity to undertake further professional training after successfully completing their programme. The Professional Pathways are offered in partnership with QA, the UK’s largest corporate training provider. These courses give you an unrivalled opportunity to gain first hand professional skills whilst studying alongside delegates from across the corporate sector, perfect as you look to advance your career and stand out from the crowd. Some of the most notable names from the world of technology, sport and entertainment have passed through the doors of Northumbria University at some point. World renowned names such as Sir Jonathan Ive KBE (Chief Design Officer at Apple), UK Olympic gold-medallist Victoria Pendleton CBE and Rob Law MBE (entrepreneur) have all graduated from Northumbria University and gone on to be huge successes in their fields. We use our research to shape and enrich our teaching, reflecting contemporary knowledge and practice, informed by global perspectives. Working together in an ambitious academic learning community you will debate, discuss, challenge and advance your knowledge. Throughout your studies with us you will build transferable skills and develop your critical thinking, equipping you for life beyond your studies and in to your career. Being so close to one of the world’s most famous financial districts gives the London Campus a unique atmosphere and buzz that is hard to find anywhere else in the country. You can benefit from the nearby hustle and bustle of the big city and take advantage of the convenient location, near a range of cafes, bars and restaurants to suit any taste. Here at Northumbria University London, we are committed to rewarding excellence. Our scholarships and bursaries exist to provide students from a wide range of backgrounds and academic abilities the opportunity to join one of our full-time programmes by offering additional funding support. The scholarships and bursaries on offer can amount to a significant discount on the programmes we offer. You may also be able to spread the cost of your tuition fees with our payment plans, these are available for both full-time and part-time programmes. 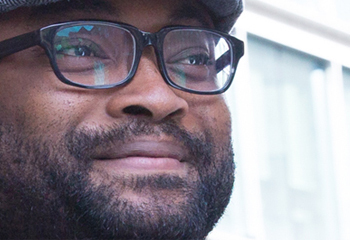 Our 24/7 digital library brings an amazing array of knowledge to your fingertips. Our size as a university, spread across several campuses, means that we can offer in-depth access to more online resources. We have invested in a powerful search capability, NORA Power Search, which makes it faster and simpler to find quality information among our 150 databases, 50,000 e-journals and 400,000 e-books. Our size also allows us to offer IT help 24 hours a day, 365 days a year, by phone or online chat, so you’ll never be left without support. You can connect to the university system using your own smartphone, tablet or laptop. Northumbria University’s London Campus offers industry-focused Business, Computing, IT and Project Management courses amid the buzz of London’s business and financial district. 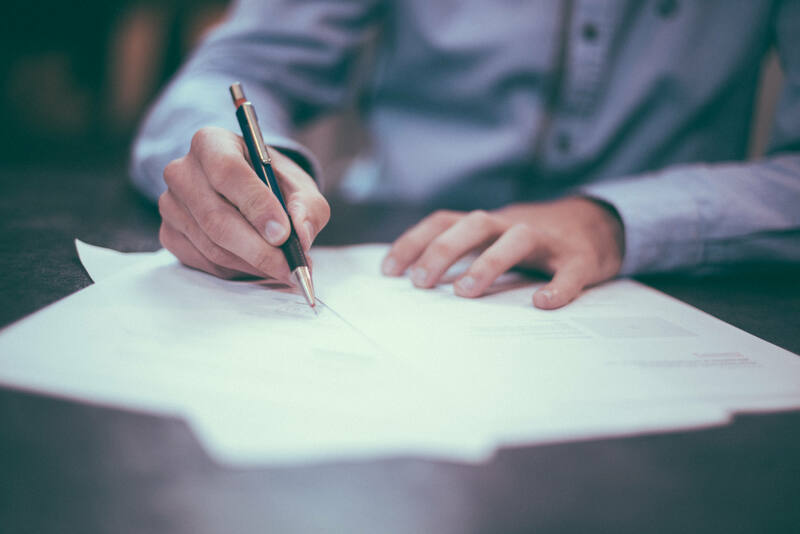 To begin your application, submit an enquiry and our team will contact you to discuss your options, entry requirements and the application process. It’s also a great opportunity to ask any questions you might have about the programme or studying with us.